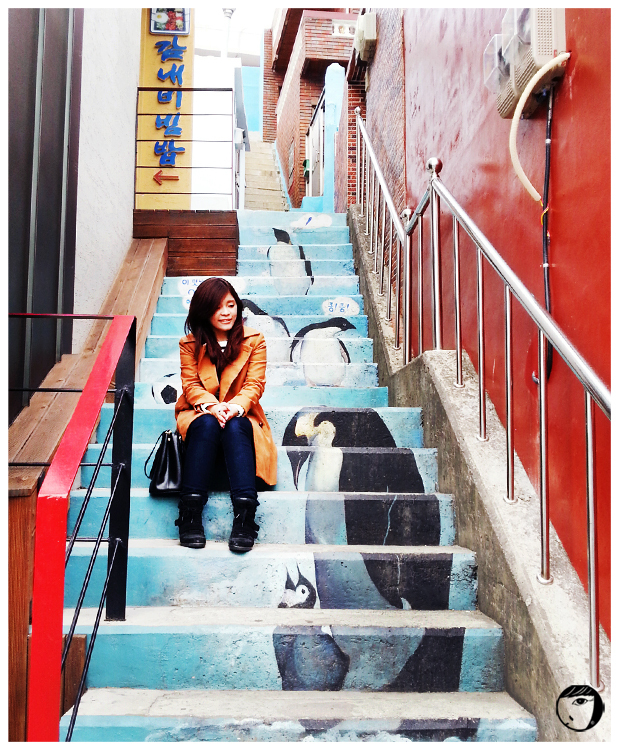 During my one month stay in Korea, I set a 2days-1night trip to Busan. I was lucky because in the month of May, there are a few public holidays. Last week was Buddha’s Birthday 석가탄신일 and fortunately the public holiday fell during the weekend. Busan get-away trip was planned in less than a week before the trip and I was about cancel the plan. We almost could not get any guesthouse rooms and KTX tickets. Eventually, after trying harder, we managed to get them. So I still can visit Busan, yay!! We set off from Seoul Station in the late afternoon as it was the only timing I managed to grab. The train journey was about 3 hours long, an hour faster compared to a bus journey time. After we reached Busan, we went immediately to our guesthouse. Surprisingly, the guesthouse was located in a recent-built apartment and it was very clean! 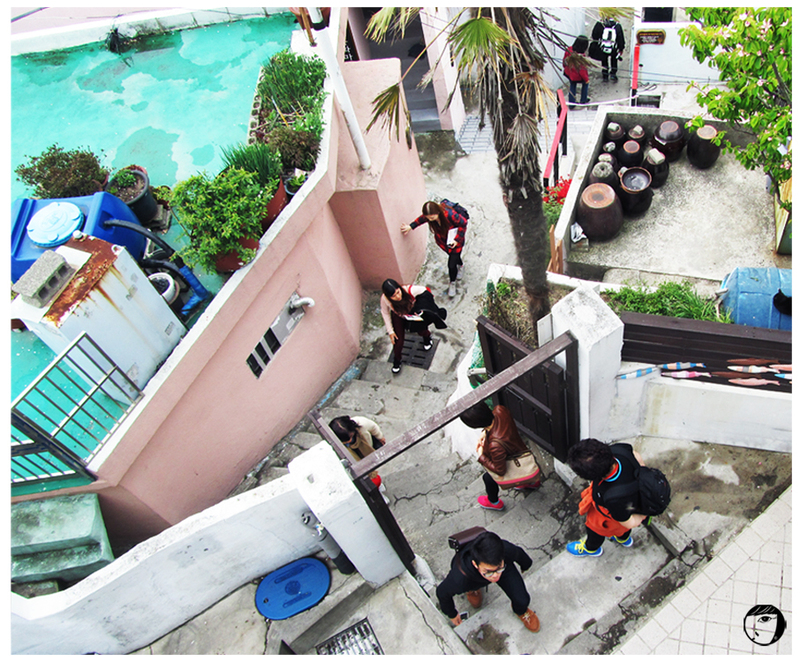 The name of our guesthouse is “BnB Busan Guesthouse Hostel”. The guesthouse host was very friendly and helpful too. He ensured we would not get lost and fetched us on the nearest subway station: Beomnaegol Station (Busan subway line 1, orange line). Since that we reached Busan in the evening, we rushed to Gwanganlli Beach 광안리 to see the famous night view and Diamond Bridge. It was such a beauty. The night was colder and windier than Seoul, so we wanted to eat something warm. We found out that Busan was famous for its sashimi and the pork soup rice or ‘gukbab’ 국밥. So we looked for a gukbab 국밥 restaurant along the beach. A bowl of pork soup rice 돼지국밥 was prefect for the cold night. 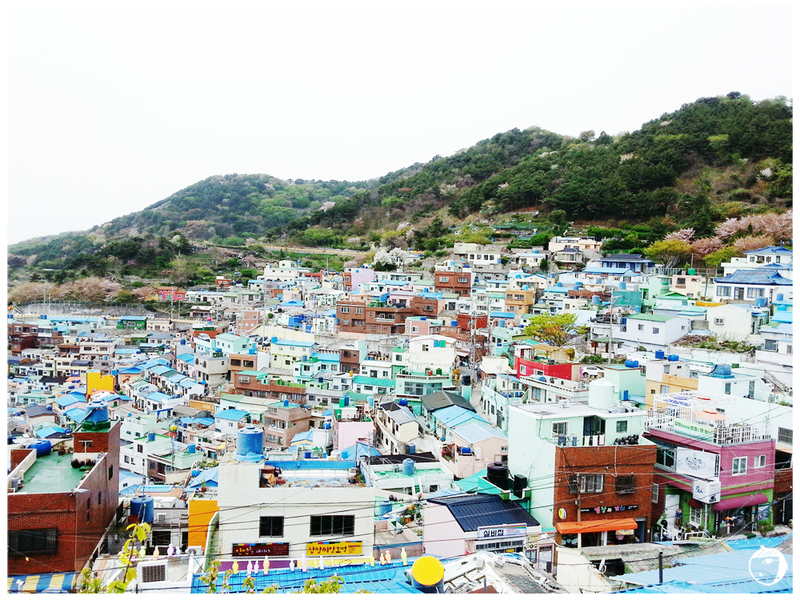 On the next day which was also our last day in Busan, we planned to visit a few places : Haedong Yonggungsa Temple (해동 용궁사), Haeundae Beach (해운대해수욕장), Taejongdae Park and to eat sashimi at Jagalchi Fish Market (자갈치 시장). But after all, our efforts was paid off. 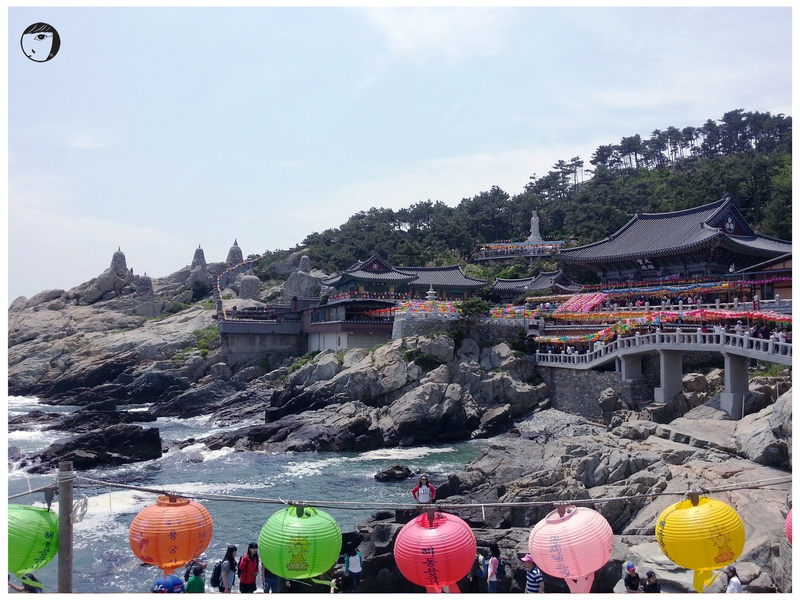 Haedong Yonggungsa Temple (해동 용궁사) is situated on the coast of the north-eastern portion of Busan. 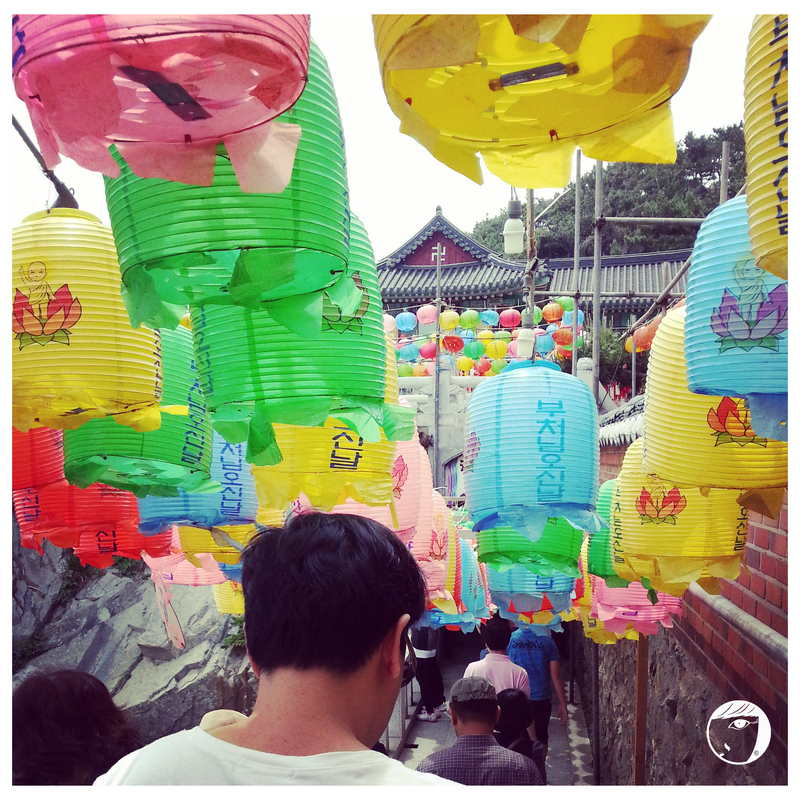 As most temples in Korea are located in the mountains, this temple is rare find of a temple along the shore line. The scenery from the temple was spectacular. Since that we were running against time, we head on to Haeundae Beach (해운대해수욕장) by taxi. It was almost summer in Korea, so the beach was full of people. 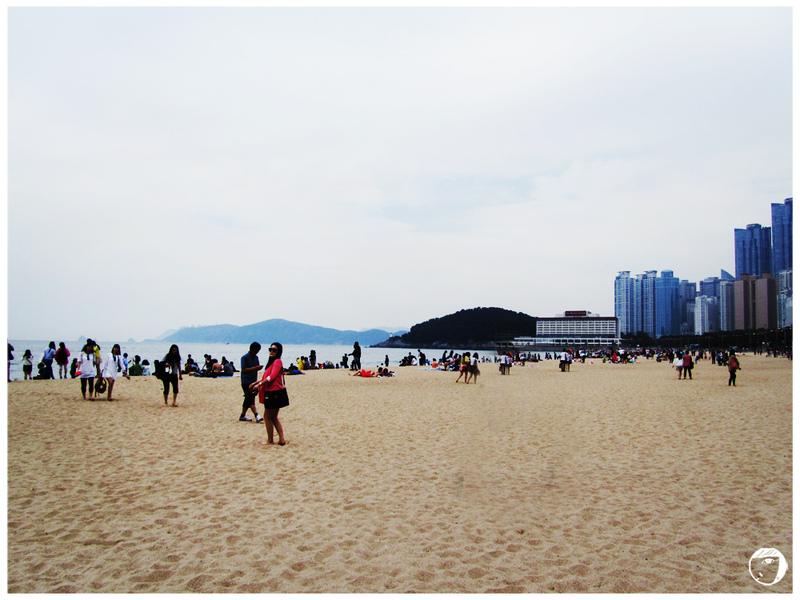 From Haeundae Beach (해운대해수욕장), we took subway to Busan Station and got on the bus. It was another long journey on the bus. 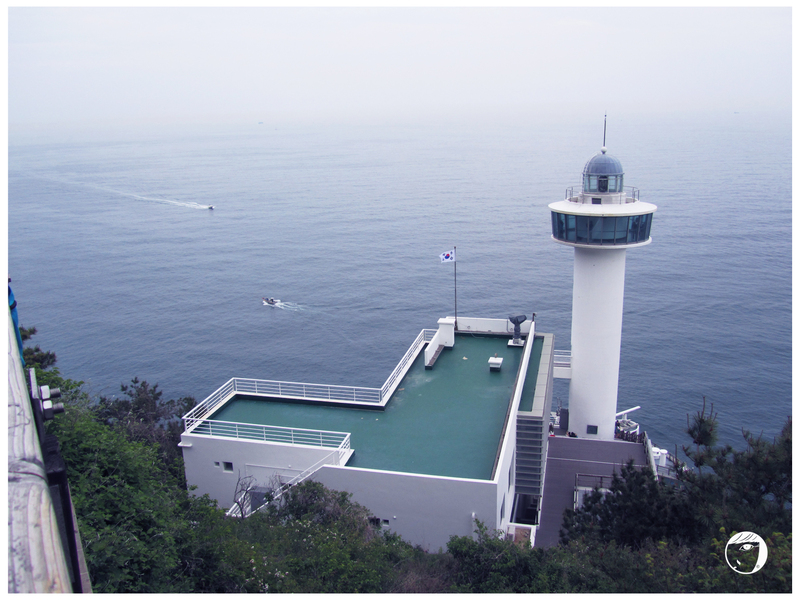 After almost an hour on the bus, we finally reach the Taejongdae Resort Park (태종대 유원지) to see Yeongdo Lighthouse. Older generations, especially the ahjummas in Korea likes to go hiking here. To go around the park, we can choose either by walking or by the Danubi tram. I recommend to take the Danubi tram. The resort park is huge and it is a quite a challenge to walk or hike. Anyway the tram ticket is not pricey, it is only KRW1500. Last but not least, before going back to Seoul, we went to eat another Busan speciality dish, sashimi! We went to Jagalchi Market and treated ourselves with a set of sashimi. The set was very big! It was KRW40,000 but it included 3 kind-of-fish sashimi, prawn, gaebul ‘urechis unicintus’ worm (which is very disgusting), a grilled white fish, boiled sweet potato, salad, raw sea urchin, kimchi set, and lastly a pot of delicious spicy fish soup! If you are going to Busan by train, try to take the evening train timetable so you can see the Busan Station Fountain Light Show. So did we. Just before getting on the train, we managed to see the show. It was a very long, tiring day but a very fruitful day. Finally it’s time to go back to Seoul. I miss my room in Shinchon so much. Good bye, Busan! Seoul, wait for me !!! 1. Gwanganlli Beach (Diamond Bridge) : Take subway to Gwangan Station (subway line no. 2, exit 3 or 5) and walk 5 minutes. 2. Haedong Yonggungsa Temple (해동 용궁사) : Take subway to Haeundae Station (Busan Subway Line 2, Exit 7) and take bus 181 to Yonggungsa Temple (용궁사). 3. Haeundae Beach (해운대해수욕장) : Take subway to Haeundae Station (Busan Subway Line 2, Exit 3 or 5) and walk about 600m to the beach. 4. Taejongdae Resort Park (태종대 유원지) : Take subway to Busan Station and take bus 88 or 101 and get off at Taejongdae Park (last stop). The bus journey is about 40 minutes. Or, take subway to Nampo-dong Station, exit 6 and take bus no 8 or 30. 5. Jagalchi Fish Market : Take subway to Jagalchi Station and take exit 10 and walk to Jagalchi Market.